Sold in a pair of one male part and one female part. 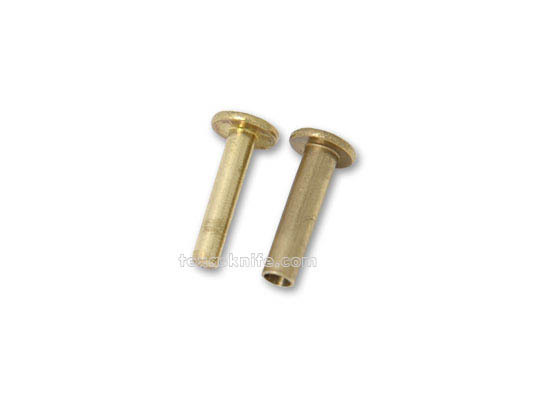 Brass rivets with 5/16" diameter head and 5/8" long shaft with O.D. of 0.150". Usually for use on kitchen or patch knives. Use #1 step drill for correct head setting. Package of 50 pairs. Sheet - Nickel/Silver 0.040" x 6" x 12"